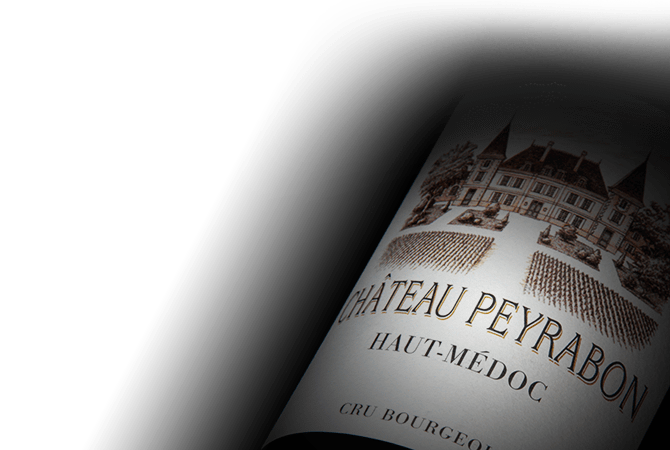 Situated in the appellation of Haut-Medoc, Chateau Peyrabon is a cru bourgeois with a strong personality. Its current owner Patrick Bernard, of the wine merchant Millésima, fell under the spell of the charming 50 hectare estate of promising gravel terroir in 1998. Since then, M. Bernard and his team, led by Xavier Michelet, have been passionately dedicated to creating authentic wines that are elegant, silky, and marked by their freshness and fruity character - typical of an excellent Cabernet Sauvignon.